The name INTIMA sounds stylish and classy and yes, it’s the ‘company’ I work with. Basically, the experience of being in INTIMA is incredible and worth sharing. 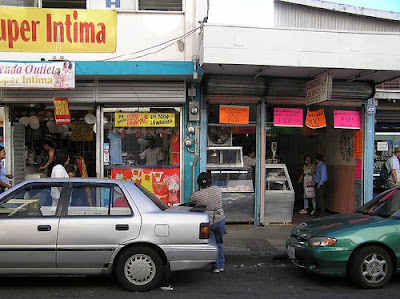 Let’s begin by showing the INTIMA Office. Well, it’s located just outside INTI. There’s a meat shop just beside and most of the time, we’ll be there during our lunch break. If you take a closer look at the photo, you would roughly know what we deal with. *ahem* Yes, my colleagues and I deal with lingerie everyday. Us in front of our internal INTIMA Office. 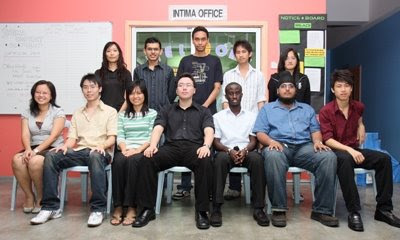 The image above is a picture of us posing in front of our internal office, which is located inside INTI. The one beside the meat shop is our external office. Basically, we are the intermediary between the INTIMA headquarters and our affiliates, such as Victoria’s Secret and Triumph International. It’s very simple. Firstly, affiliates would submit proposals, mainly to organize events (lingerie exhibition, intimate nights) and produce new products (undergarments). The proposal needs 3 important autographs in order to be approved. The first one to sign is the Vice President of Activities. He checks the feasibility of the proposal. Next, the Treasurer, me! Yes, I provide the amount of subsidy and check the budget of the proposal. Lastly, the President. His autograph means the proposal is fully approved by INTIMA. After an event is over or a new product has been developed, affiliates are required to submit an Event Review Report. This time, it requires 4 autographs; VP Activities, Treasurer, Auditor and President. As usual, the VP Activities signs, the Treasurer checks the account statement and signs, the Auditor rechecks the account statement as well as the validity of the receipts and finally, the President signs just for the sake of signing. The title of each position says it all. 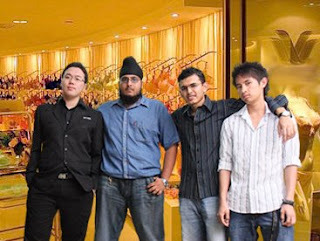 Calvin, Karampal, Mishal & Jason in front of an affiliate’s outlet. Young & Delia posing for the camera. Joan & Pei Yheng at the lingerie gallery section. Clara and her lingerie wardrobe. Hafiz & Justin at the reception counter. Lastly, my spacious office and I.